Based on reviews from 51 experts and 16,370 users. 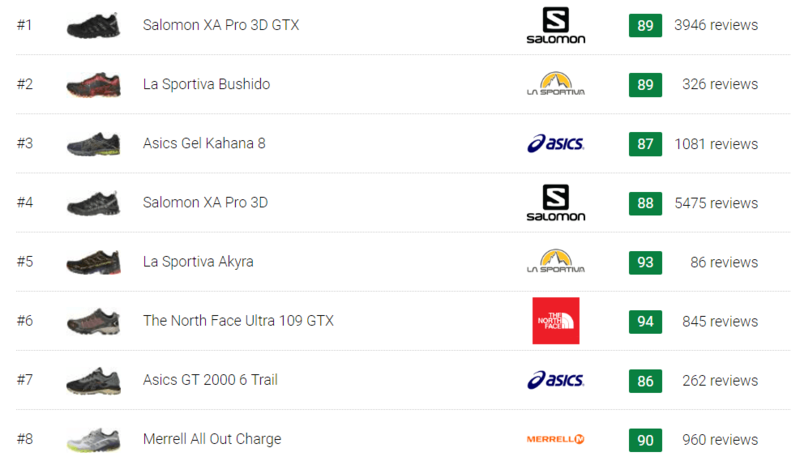 Learn how our rankings work or see our guide to stability trail running shoes. Updated Apr 2019. A stability trail running shoe is specially engineered to deliver high level of support when running on the trail. Through the running gait cycle, stability shoe aims to allow the wearer experience the perfect blend of durability, medial support and cushioning. With the utilization of the guide rails, dual-density midsoles and medial posts, stability and a stronger density are provided under the inner edge of the runner's foot. Trail running shoes with stability features encourage the body to be aligned correctly to complement the natural style of running as well. What is a stability shoe? With the perfect combination of durability, cushioning and support, stability running shoes work well on a wide variety of surfaces. Those users who have normal arches, overpronators and average weight buy these kinds of shoes if they want durability and excellent support. Stability shoes are often described to be stiffer than a neutral shoe and more flexible when compared to a motion control shoe. To prevent the overpronation of the human foot, the rigid medial post of the shoe offers stability. Using a machine, the foot is analyzed to determine the perfect running shoes that best suit the specific needs and activities of the user. From there, one can choose the ideal pair in tackling challenging roads and terrains. Stability. The best stability shoes for trail running features a great level of support. These shoes have supportive midsole cushioning and medial plate to support the arch and reduce pronation. Excellent Fit. Aside from support and stability, the best stability trail shoe should provide excellent fit, from the heel to the forefoot. Stability shoes are made of excellent materials that hug the foot comfortably. Amazing outsoles. An excellent outsole must be able to provide grip on hard and soft mud every time the foot hits the ground. Deeper treads and thicker outsoles will protect the foot from sharp trail objects while providing maximum traction. Protection. Rain or shine, slippery, snowy or muddy, the stability trail running shoe should help you withstand a wide variety of trail surfaces. Some stability trail shoes feature rock plates and toe caps for foot protection. One of the best trail running shoes from The North Face is the Ultra 109 GTX. It is crafted with the perfect combination of flexibility and toughness. 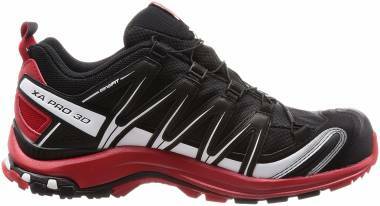 This stability trail running shoe aims to perform well on wet and dry surfaces. 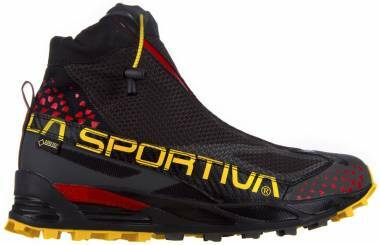 The La Sportiva Akyra is one of the brand’s best stability trail running shoes. This rugged trail running footwear features a 3-layer construction system that aims to secure a snugger fit and more breathability. It utilizes the deep Trail Bite lugs along with the Impact Brake System. This system is essential in preventing possible slipping and sliding during the running session. 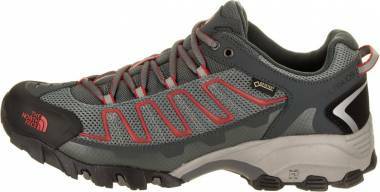 This shoe is best for off-trail and snowy conditions. Integrated also into the shoe is the MicroLite Skeleton overlay. 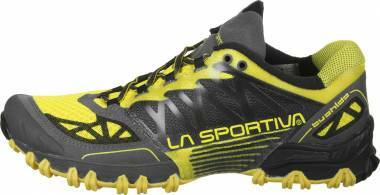 This component of the La Sportiva Akyra aims to deliver lateral movement stability. This brand is also known for crafting reliable stability trail running shoes and one example is the Asics GT 2000 7 Trail. Feedback for this stability running shoe was generally positive. Those runners who are looking for more support during their running activities is sure to experience a snugger fit and a more secure lockdown. The Salomon XA Pro 3D is strategically designed using impressive features and technologies. The upper section was built to provide a comfortable and breathable wrap. The midsole area is essential in keeping the foot supported and protected at all times during the running session. 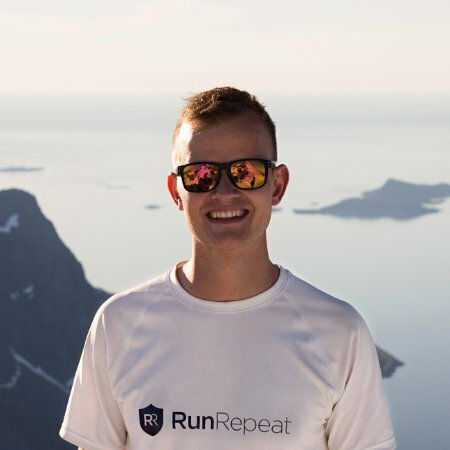 With its expensive price, the shoe is a good investment for runners who are looking for a high-quality shoe. What is the cheapest stability trail running shoe? 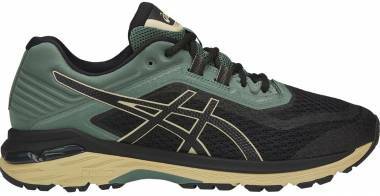 The Asics Gel Kahana 8 is the cheapest stability running shoe in the market today.. With the price of $60, it received high praises from users and expert reviewers because of its reliable service and excellent quality. Can I use my stability trail shoe for walking? Yes, trail running shoes are made with excellent cushioning. So, as long as the user is comfortable wearing his trail running shoes for walking, then that would be fine. But, walking shoes can't be worn for trail running activities.